Looking for a healthy snack that will satisfy your craving for salty AND sweet? Look no further! 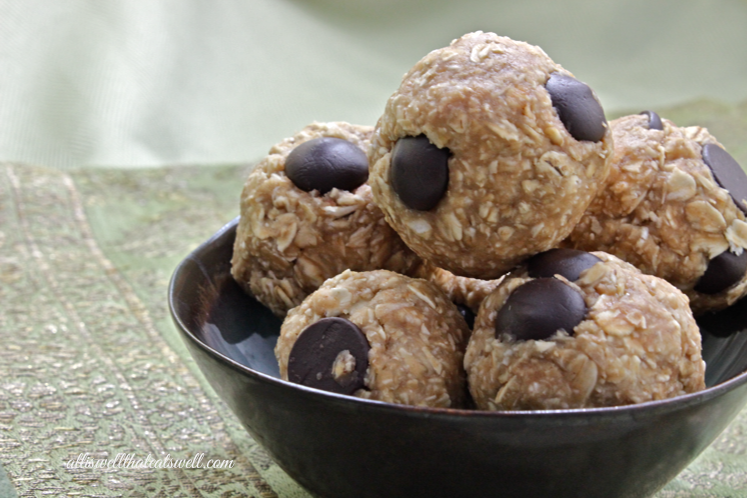 These healthy PB and dark chocolate treats will do just that! 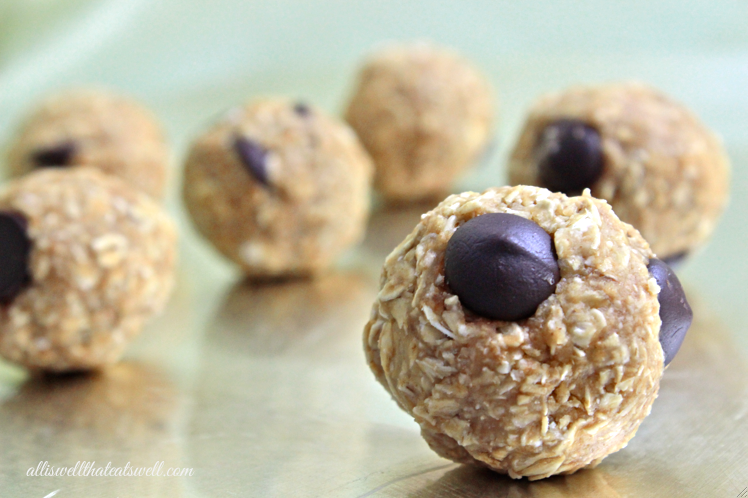 They are no-bake so you can have a batch ready in minutes, grab one for now and pop the rest in the fridge for later. They're also a very practical snack for the work week. Toss a couple into a zip-lock bag and take them to work as a mid morning or mid afternoon snack when those vending machine cravings start to kick in. I promise these will satisfy you and hold you over for hours! Place oats into bowl. Add peanut butter, chocolate, sugar and vanilla and mix ingredients. Add milk and knead with your hands until mixture becomes a "dough." Now gently shape into round bites approximately 1-1.5 inches in diameter. Enjoy at room temperature or chilled!